If you’re thinking of getting into 3D printing and don’t know where to start, then we have just the ticket for you. eMAKERshop have teamed up with the Bath University RepRap research team to bring you our first UK RepRap Master Class over the weekend of 1/2/3 July 2011. The format is simple. 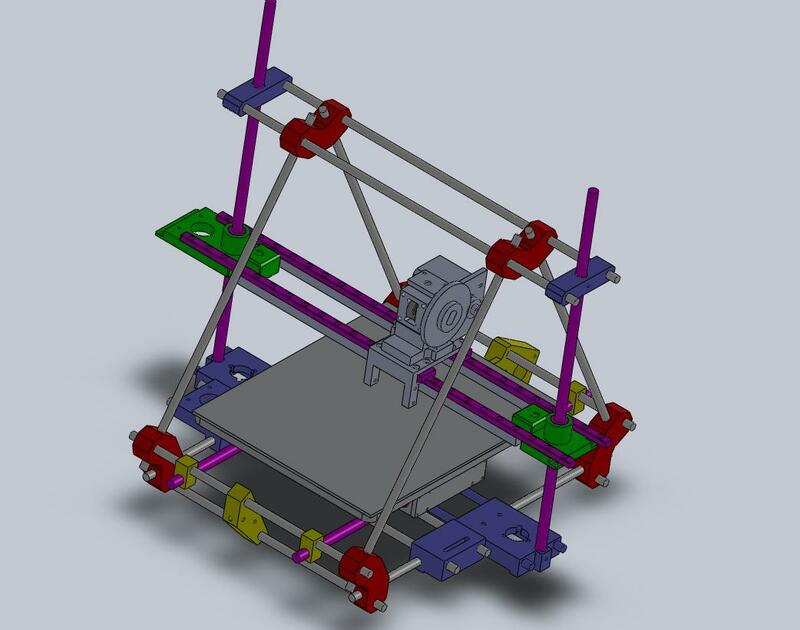 For a fee of £575, participants will be provided with all of the hardware and software, along with expert guidance, over the course of the weekend, to build and commission their RepRap 3D printer. There are other ways to get a one of these machines functioning, but these involve substituting cost with lots of time spent researching, sourcing and learning to get the best out of a RepRap 3D printing machine. The Master class will be run in the RepRap project’s home town of Bath, UK, by some of the most experienced reprappers, including Dr Adrian Bowyer – the creator of the RepRap project, Josef Prusa – the originator of the Prusa Mendel design, and other prominent figures within the RepRap community. For more information and to sign up, please click here. We look forward to seeing you there this July. In which your narrator decides to go retro and have another look at Darwin. 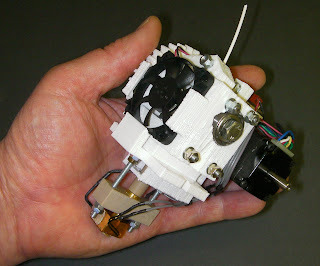 I have (finally) finished my 1.75mm filament extruder design for RepRap. I say RepRap - in fact, by simply changing its adapter plate (called base_plate in the design), it should go on virtually any 3D printer. The standard design fits Mendel (both the standard one and Prusa). I will shortly do a plate for Huxley too. It's all here on the RepRap Wiki. Erik, of course, has done a superb job of estimating the World population of RepRaps together with RepRap-derived machines like MakerBots and 3D-Systems/BfBs. Stratasys and sent them to RepRap team members round the world. 30 September 2007 - Vik Olliver in New Zealand finished the second Darwin. them and started selling Darwin copies made by PU moulding. February 21, 2008 - Zach Smith (now also of MakerBot) gets his Darwin working. February 22, 2008 - Ponoko have a lasercut version of Darwin. and people start using them to print RepRaps. April 2008 - Nophead starts printing Darwin parts on his Repstrap Hydraraptor. Bath University in the UK. 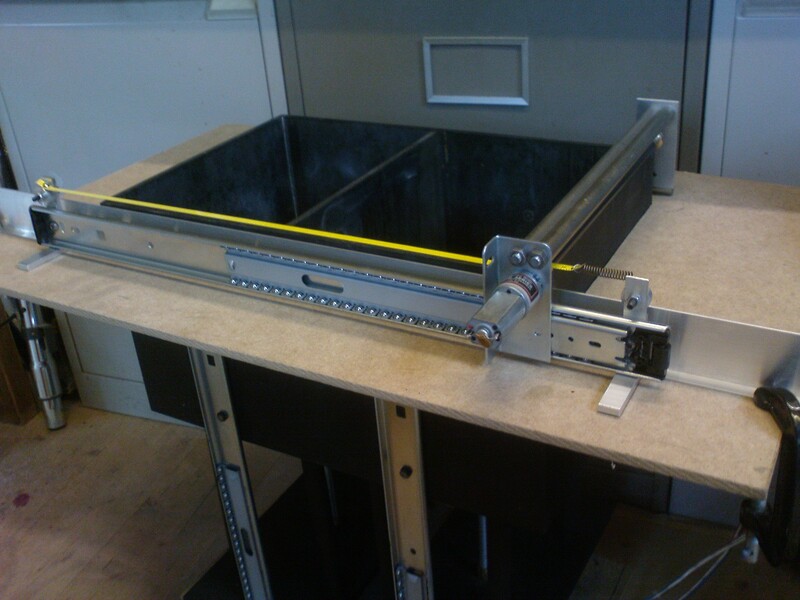 This is the first true RepRap replication. Summer 2009 - RepRap Mendel introduced. selling reprapped sets of parts for RepRaps made in RepRap machines on Ebay etc. Nophead alone has made over 100 RepRaps for other people. I have made over 50. We have just published a paper in the journal Robotica about how RepRap started, its development, and how it has got to where it is now. It is, of course, a scholarly engineering article intended for academics. But it is - we hope - also a good read for everyone. You can get a copy from the Cambridge University Press website here. Jones, R., Haufe, P., Sells, E., Iravani, P., Olliver, V., Palmer, C., and Bowyer, A.,: RepRap – the replicating rapid prototyper, Robotica (2011) volume 29, pp. 177–191. Cambridge University Press. It's amazing to see how much the RepRap community has grown in the 6 years since it started, and little over 3 since RepRap 1.0 Darwin was released. We have gone from only being able to get the parts for a Darwin from commercial prototyping services that made the total build cost $3000+ to today where you can put a Mendel together for $400. This blog post is going to try to help a person figure out the easy ways to get into this hobby. 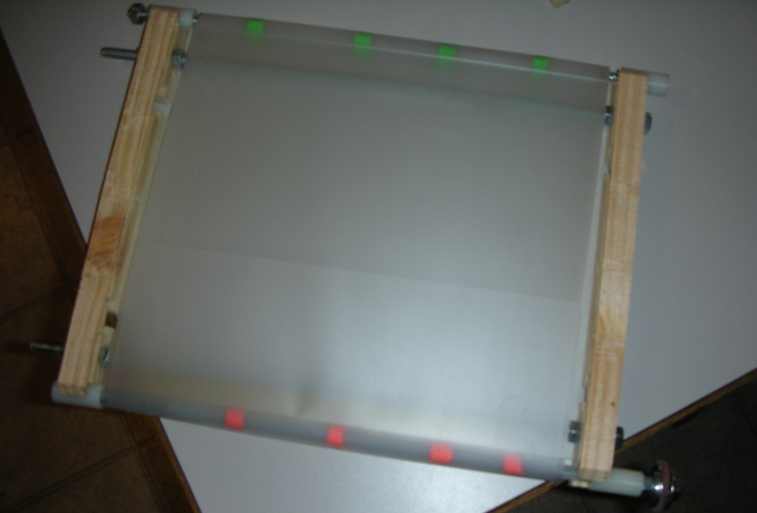 There are 2 main ways to get a RepRap or RepRap alike (Or Repstrap). You can buy a kit or you can self source. I am a very large fan of self sourcing because the difference between the cheapest kit I can personally recommend and the self sourced machine is $425, or TWICE as much. A RepRap is made up of 4 categories of parts. Motors, electronics, RP (Plastic Parts), and Hardware: These parts are not hard to find, and no matter where you are in the world you can have them shipped to you. Below I will give a bit of a guide on how to find these parts outside of a kit vender. The availably of plastic parts has seen a real dramatic shift in availably in the last year. 24 months ago there was literally almost NO parts available for less that then commercial Prototyped price ($1300ish), 18 months ago the parts where going for $700ish on Ebay, 6 months ago they settled on an average of $250-$300, and now there is such a glut of parts that they are going for $100 and cast $50. This is part of the magic of the $400ish RepRap. I find these to be the best places to find the RP Parts. The RepRap User Groups: Even if you don't find anyone in there, post that your trying to get the parts, there is a very good chance that the 3d printing bug has infested someone else in your area. The Makerbot User Groups: Makerbot has compiled a nice list local MB user groups. RepRap IRC: Our community's IRC channel is a hopping place. The reason I say go here 1st is because by buying your parts in this channel your also helping out the people who are most likely going to help you get it running. Emakershop Jeanmarc from the IRC runs this webshop. The great thing about it is that it has a varitey of venders (you can literally self souce JUST out of his shop for $550ish (if everyone is in stock, which they are not now). Lots of us like this vender because he does not charge a transaction fee. Only thing you have to pay is Paypal fees. Ebay This is likely going to be the most expensive way to get the parts, because with Ebay there is no way to get around the doubt hit of Paypal and Ebay fees. Unless you just have to don't buy parts here. RepRap Forum Parts go up for sell in the Forum all the time (less than you will find at any of the other choices), but people do sell there. 1 note it is VERY easy for people to "Puppet" in our forums, so you never know if the reviews listed there are real or someone being dishonest. 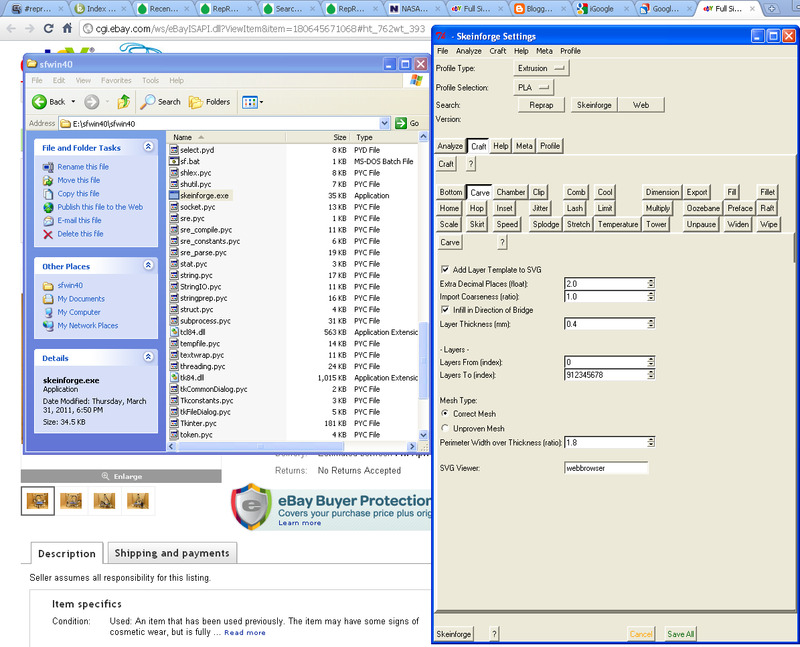 Most the Ebay sellers also sell here, so buying in the forum allows you to skip the Ebay fee. Metrix Clonedel These are the cheapest parts, and I have personally reviewed their products, they are good enough replacements for the printed parts. They do require processing with a drill press. The electronics are the heart of your machine, and the part of the machine that most effects your overall experience with the machine. I have experience with RAMPS, Gen6, Gen3, and Gen4. All have worked well for me. The big difference between these electronics is the cost / firmware support you get with them. RAMPS Is currently my favorite electronics. Mostly because it's both "single board" & modular, has provision for controlling a heated build plate, has the most active development (3 separate teams competing and working together on firmware for it), and it's about the cheapest electronics I can suggest ($140 if you do it yourself $200 if you get it preassembled. It's sold by Ultimachine, or you can etch it yourself. Gen6 Is my second favorite choice. It does not have provision for a heated build plate, and it has the least active development team as far as new firmware. It's not etch-able, and is only available from 1 vender, Mendel-Parts.com. But is the simplest set of electronics to install, and it does work. It's $200 with optos. Gen4 is my 3rd favorite electornics. This is the official Makerbot electronics, but you could use it on a RepRap. The up side of Gen4 is that it will out of the box use ReplicatorG, which I think is one of the easiest RepRap control programs, the down side is that Makerbot sells it for $370. That's twice as much as it costs to put together RAMPS, and 4 times as much as a Sanguinololu. Gen3 and the multiple derivatives thereof. There are many companies out there that sell a version of these electronics, but in the end they are 2 years old, and it shows. Gen3 was problematic, but at the same point LIGHT YEARS ahead of what we had before. Zach and the guys over at Makerbot did a wonderful job on these, but they are just old now. If you can pick up a set of these electronics cheap, great, but just remember even at their best they where fussy, and no one is writting firmware for them anymore. They can be had for as cheap as $165. The Real Gen3 are no longer sold or supported by Makerbot. The Self Source options. If you have the ability to create your own boards, there are some truely cheap and nice options out there for you like Adrian's Ramps, Gen7, Sanguinololu, or even self etched Arduino_Mega_Pololu_Shield. Electronics can be as cheap as $100ish all the way up to nearly $400 depending on which set you go with. It's up to you. Your also going to need a power supply. If you plan to not run a Heated build plate, you only need 60W for all these electronics. The power supplies are usually avialable where you buy your electronics, and are either ATX power supplies (Desk top Computer supplies), or Laptop Supplies (Solid state but smaller). Just search "12v 20a universal power supply" in ebay and you will see tons on them, just buy the cheapest one. Motors can be the easiest or the hardest parts to source. All that really matters is that they are NEMA 17 (I know it's "possible" to run a RepRap on Nema 14, but don't even try, it's way more trouble than it's worth) they must be bipolar (4 wire), and have a holding strength of 40 N-cm at an aperage lower than your driver . Remember if you get 3 amp steppers most of our electronics only push max 2amp, so your not going to get the rated strength, but if you get a 1amp motor (that has the right strength), you can run it on a 2amp driver, just remember not to max the pot on your stepper driver! When in doubt buy a stronger stepper than you need, because there is no way to make a stepper have more torque than it's rated for. I use 53.1 N-cm motors just beause the last thing I want to deal with is a skippping extruder steper motor. Here are some links to motors that look about right, or I have used to give you an idea what you want. Any of those would work, but you can buy what ever you want, just remember 1-2amp 40ncm (Good converter if they play games with different numbers), Bipolar, 4 wire. Hardware will depend on which machine you choose to build. I have built a Makerbot, Thingomatic, Huxley, 3 Sells Mendels, and well over 5 Prusa Mendels at this point. You can see videos of all the builds over at my Youtube Channel. 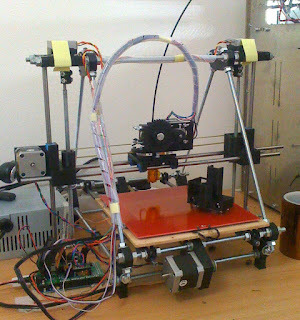 The newest and in most active development RepRap is the Prusa_Mendel. The advantage of the Prusa is that the hardware costs are a fraction of the Sells Mendel, and it's much easier to calibrate/assemble. Here is a video showing the two machines side by side. Assuming you go with the Prusa, you can get most the hardware locally. The Threaded Rod will be at your local hardware store, the screws you need (SAE if your in the US, Metric anywhere else), will be at the hardware store also (you might have to search in google maps for a thing called a "Fastener Supply" in your area to get the right sizes. Also your going to need Smooth Rod. If your self sourcing I am assuming your not rich, so just get "Tool Rod", or "Drill core". This can be also sourced locally from a machine shop, the Fastener supply, or even from old junk printers, that almost always use 8mm or 5/16 smooth rod. The only bearing a Prusa uses is the 608 bearing or "Skate board bearing". Before I started doing support in the RepRap IRC I never knew that every country in the world had Skaters, but they do. They don't need to be fancy, the cheapest 608 you can find will do (I have even used 2nd hand bearings from the skate shop). Your also going to need hardware for your extruder. This is the part that handles to molten plastic (hot end), and the part that pinches the plastic (cold end), so it's very important that it's done right. You can make these yourself, but unless you are a machinest I really suggest you just buy the parts (at least for the hot end). These are a few vender's I know work well. Hobbed Bolt's are what is used to pinch the plastic. You can use a gear to do this, but the hobbed bolt seems to work much better. They can be found from a variety of vender's on ebay, and only take about 10 minutes to make yourself with stuff you likely already have sitting around your shop. You can search eBay for them here. This should get you a good way though self sourceing a Mendel, but if you have any questions go to the Prusa Mendel in the Wiki, or go into RepRap IRC off freenode. I would say that purchasing a kit has always been the most common way to start in this hobby. That's changing now because untill recently is was almost impossible to source the plastic parts, and the RepRaps where much more challenging to get running than the kits. This is not the case any more. But non the less, a kit is an option that is perfectly reasonable if your time is worth more than a few hundred dollars. Again this is not a complete list of Kits, but only the ones that I would recommend to a friend. There are cheaper kits, but I have seen enough issues with them that I can't suggest them. This kit comes with all the bells and whistles you could ask for on a RepRap. Heated build plate, big power supply, bowden extruder, geared stepper, stainless steel, etc etc. It's around $300 more than self sourcing, but only about $150 more than if you where to try to buy all the components individually (good luck on them being in stock). This kit does have the advantage of being the same as a Self source Mendel, so you can get direct support for it though both Makergear IRC and RepRap IRC. Build area is 200x200. I love to hate on the Makerbot because they went up $500 on their kits cost in the last year, but the Thingomatic, which is the follow on the the Makerbot Cupcake is a much improved unit. Their Mk6 stepper extruder is much improved over the Mk4 Extruder that I got with my $750 cupcake. Build area is the smallest of the available kits at 110x110. The Rapman 3.1 is based off the Darwin platform, but has evolved steadily over the 4 years it's been around into a very solid machine. It's the 1st machine I will mention here that is not fully open source. The Rapman 3.0 designs where released, but 3.1 never was. And the Electronics where never released at all.. It also Uses a closed source Program call Nettfab to drive the machine, but every person I have ever talked to that used it loves it. Nettfab has a free version and a pay version that is $400+ dollars. It does have the 200x200 typical RepRap Build area. The Ultimaker by Erik has not been released yet, and to my knowledge no one outisde of people associated with Erik own one. But at the same time Erik has a GREAT name, and the machine looks to print very well in the videos. The Ultimaker uses a bowden caple extruder to get extremely fast x/y motion (300mm/s). 200x200 build area. I hope this helps. I am sure I missed some very good suppliers that I just don't know about, so if I missed you please comment below. The above is just 1 man's opinion, and not official RepRap policy, because RepRap does not do official. Like always if you have question please go search the Wiki, and ask questions in the IRC.